Shiboporosad Mukherjee and Nandita Roy and in San Francisco promoting their upcoming film Posto. 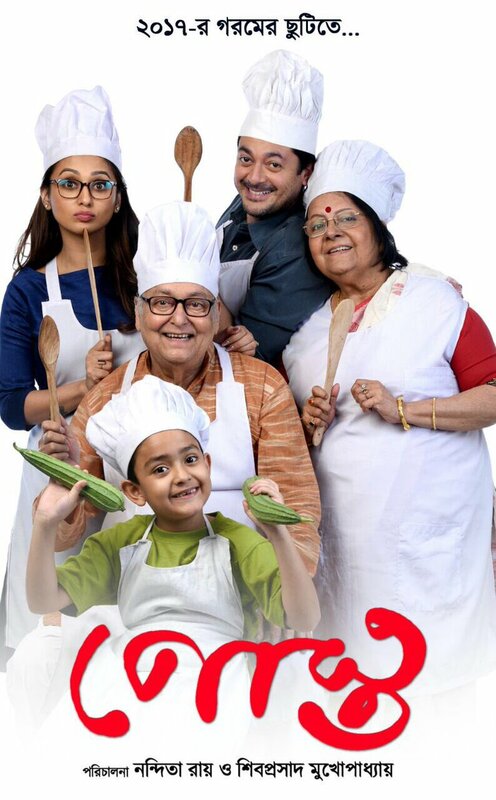 Bengali film Posto to release in the US Canada Dubai Tokyo and London. Director Shiboprosad Mukherjee said, "The idea of releasing Bengali films abroad started with Praktan. It was quite a task to convince the production house to release it abroad — they thought they will run into a huge loss if the idea didn't quite work. It was only after Babli Chakraborty of Dreamz Unlimited in LA helped us release, that we thought there was hope. Praktan was released in the US, the very next day it was released in Kolkata. The show was housefull and the film was subsequently released in 9 cities in the US and Canada." Main cast of film Posto are Soumitra Chatterjee, Lily Chakraborty, Jisshu Sengupta, Mimi Chakraborty, Sohini Sengupta and Paran Bandopadhyay.